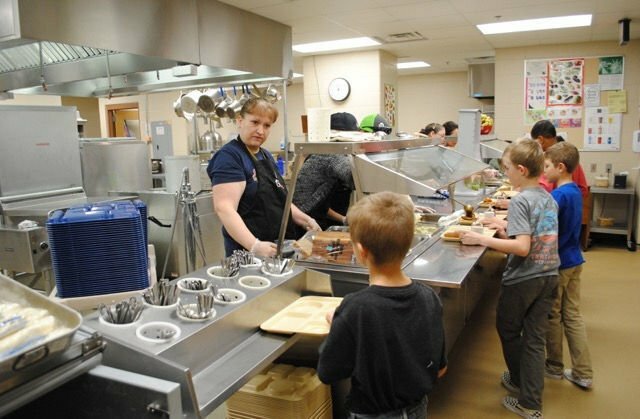 The Beef to School pilot program features meat from local ranchers in Wall served to schoolchildren. Students at Wall Elementary School eat lunch during the "Beef to School" pilot program kickoff last week in Wall. The pilot program “Beef to School” kicked off on Jan. 4 at the Wall School. Ninety pounds of locally raised beef were served to more than 200 students during lunchtime. Students were very enthusiastic about the hot hamburger sandwich. 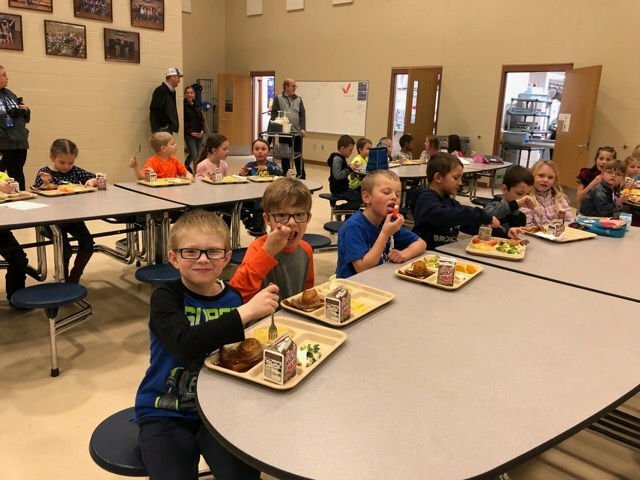 The Wall School Lunch program, Wall Meat Processing, the Wall FFA and the Ag Committee of Wall Economic Development have been working to be the first in South Dakota to utilize locally raised beef in their school lunch program. This program started as a pilot project. Local ranchers are donating the beef. Wall Meat Processing is contributing the cost of processing two head and delivering the beef to school. The purpose of this program is also educational. We are educating our kids about what they eat, where it comes from, and how important it is to eat fresh food that comes from natural sources. This program will offer students an opportunity to engage in conversation and activities revolving around beef nutrition. That is an important element in building beef demand for our future generations. “The major thing about local food is that it helps your local economy. That money goes back to the community and gets spent several times,” said local rancher Josh Geigle. The pilot program “Beef to School” will continue throughout the semester and become sustainable. If it continues to go well, the school will procure locally raised beef from Wall Meats for next year. The Wall FFA students plan to visit each elementary classroom this semester utilizing the curriculum provided by the SD Beef Council.